David Ortiz, nicknamed “Big Papi”, is a former Dominican MLB baseball player who played with the Boston Red Sox. Ortiz was mostly a designated hitter, but sometimes he played at first base. Ortiz played with the Minnesota Twins from 1997 until 2002. Ortiz is an eight-time All-Star and holds the Red Sox single season record for home runs in a regular season with 54, set during the 2006 season. In 2005, Red Sox ownership presented him with a plaque proclaiming Ortiz “the greatest clutch-hitter in the history of the Boston Red Sox”. He is one of 50 MLB players in history to hit at least 400 career home runs. Sports Speakers 360 is a booking agent for pro athletes. 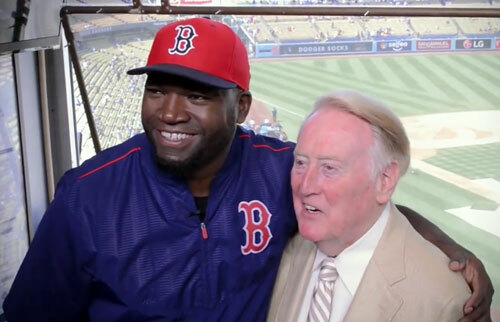 If you would like to book David Ortiz for a speaking engagement, appearance or endorsement, contact a David Ortiz booking agent for fees at 1.855.303.5450.